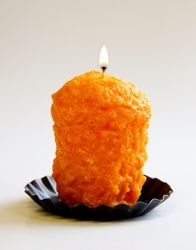 The Oversized Votive Candle, also known as the –mini-hearth” candle, is the younger brother to the Warm Glow Hearth Candle. 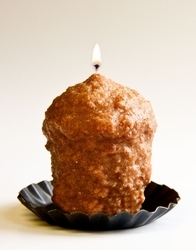 This candle is approximately 3" high x 2" in diameter and weighs approximately 5 oz. 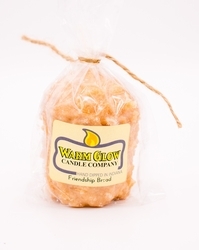 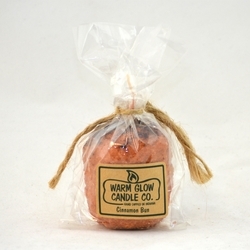 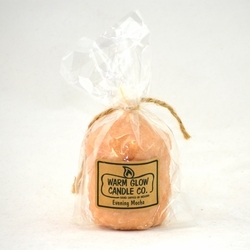 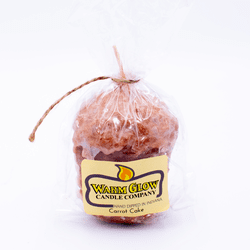 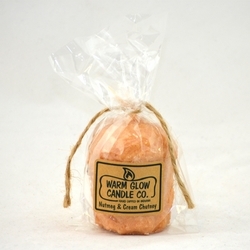 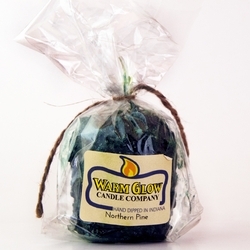 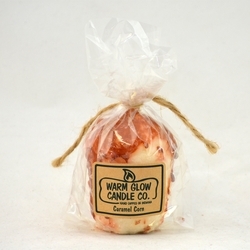 This candle has the classic Warm Glow, lumpy bumpy, primitive exterior, perfect for any home. 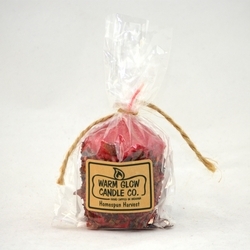 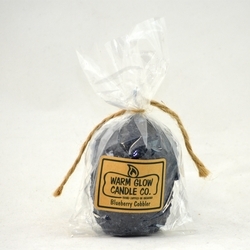 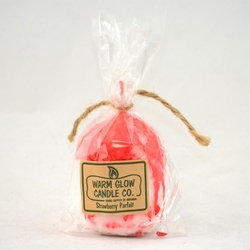 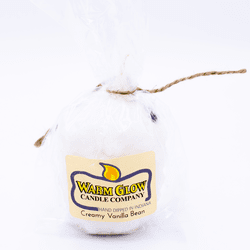 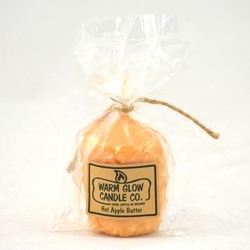 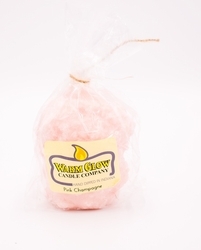 It has a very long lasting burn time for a candle of this size, lasting up to 35 hours. 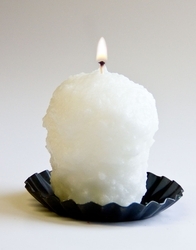 Use this unique primitive candle in a group of three or more for a powerful statement, or pair with other items to accentuate your home or office. 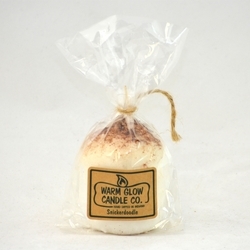 We’ve saved you a trip to the bakery with our buttery, rich scent made extra special with a dusting of cinnamon on top. 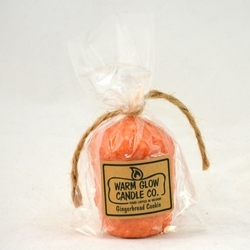 We’ve captured the warmth and aroma of an old-fashioned gingerbread cookie. The only thing missing is a glass of milk! 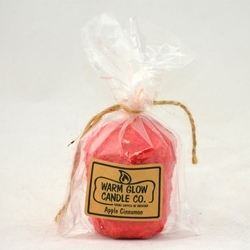 We’ve done all the work of rendering the apples and adding the spices to produce the perfect aroma of homemade apple butter.